Raise the garage door ¾ of the way up and hang a bed sheet in the middle of the garage. The bed sheet will divide the space in half, allowing people to start and finish the maze. Set up a tunnel made of cardboard that kids should go through to get into the garage. The tunnel can be filled with rubber spiders and webbing. Put on some creepy music to get the kids’ adrenaline rushing. Decorate the inside of your garage with bats that hang from the ceiling, spider webs, or even motion activated props. When trick-or-treaters make it out of the haunted maze, then they can get their candy at the end. Creating a haunted maze does not require a lot of money. Most haunted mazes you can do yourself, making the maze more authentic and creative. This idea for a haunted garage this Halloween is a novel one for those who prefer to add a little gore to their decorations. To provide scares for the children coming to your house during trick-or-treat hours, just simply follow these steps. Create a real-life mannequin by stuffing straw, paper, or poly-fil fiber into some clothes. Use a flannel shirt, jeans, and old gym shoes to make the figure more realistic. Put the mannequin in the garage with the bottom half sticking out from under the garage door. Put some ketchup or red paint on the garage door to add a gory effect. Any used shirt, jeans, and gym shoes will be perfect for this mannequin. Again, this is not a costly investment, but definitely one that will create a great Halloween atmosphere. 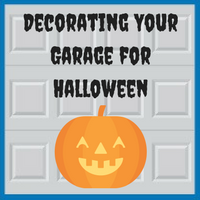 Creating glowing eyes on Halloween is probably the quickest and most cost-effective way to decorate your garage. Save up some cardboard tubes and cut eye shapes out of them. Put glow sticks in the cardboard tubes. Duct tape the tubes on the ends. As glow sticks typically last no more than eight hours at a time, it is always good to keep replacing glow sticks consistently. Keep moving the cardboard tubes around periodically during the month of October to haunt the kids. Invest in at least ten fake hand decorations, which are likely available at your local dollar store. Mount the fake hand decorations on the garage with mounting putty. Add certain treats, like an apple or candy. These fake hand decorations can provide a creepy effect, and they are a cost-effective way to convert your garage into a more haunted area. Being a homeowner is something to be proud of, and the ability to decorate your house for Halloween is very exciting. 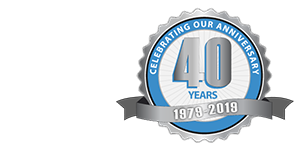 At Blue Sky Builders, we assist our clients with all their garage needs. We have 38 years of experience with passion, honesty, and dependability, so you can count on us for anything. If you have any questions regarding your garage, please contact us at 630-852-8485. To check out our work, please visit our gallery.